Completed 2015 | 7,800 sq. ft. The first phase of any project is the planning stage, generated in close contact with the client, taking the site and in this case, the existing building into consideration for creating sketches and generating a path to a completed project with the clients ideas, budget, building codes, research and knowledge as guidelines. 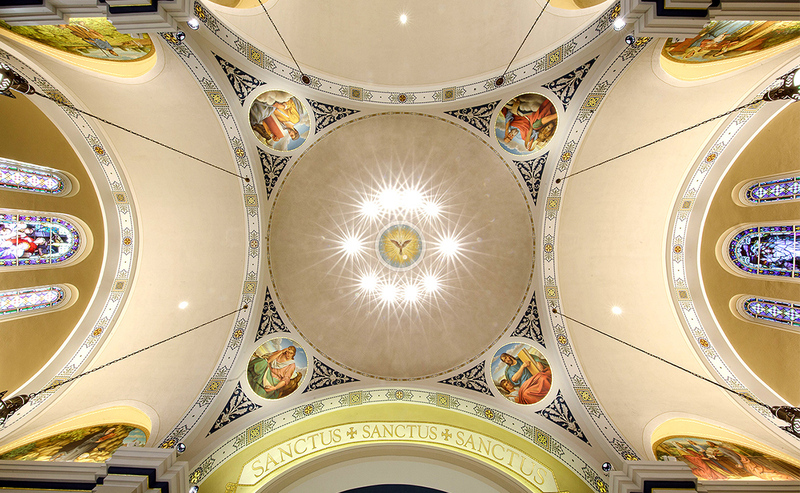 St. Michael Catholic Church began as a renovation, but evolved into a reclamation of the church’s classic character. Researching its history through generations of parishioners’ family photographs revealed its prior grandeur. Statues were found in people's houses and the original alter in a barn. The center piece of the alter, a relief carving of The Last Supper, were restored and placed back in the church. 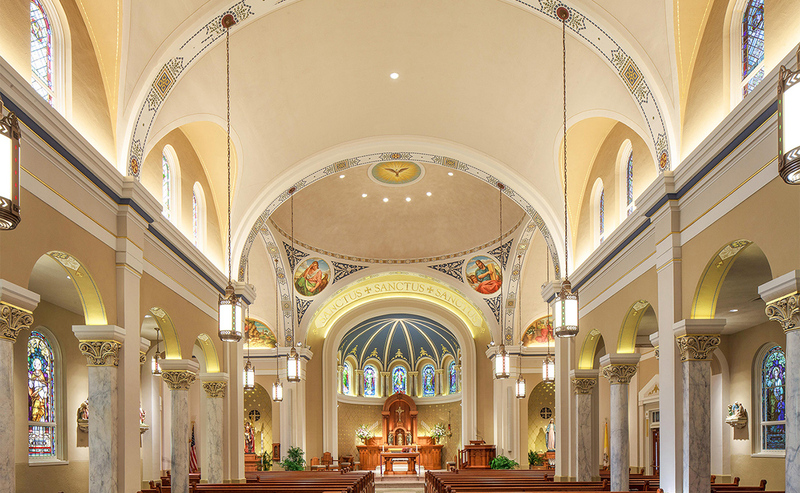 For St. Michael Catholic Church a digital point cloud were made to get exact measurements. From there a blank model were generated with 3D software and together with the research into the history of the church, the color palettes originally used and knowledge of this type of churches, a new digital model were inspired and made. Together with local experts, statues were restored and a working, non-interfering sound system created. Light studies were used to determine the placement and the strength of lamps. The original terrazzo floor was restored, and walls and ceilings refinished.